A simple assortment of props. 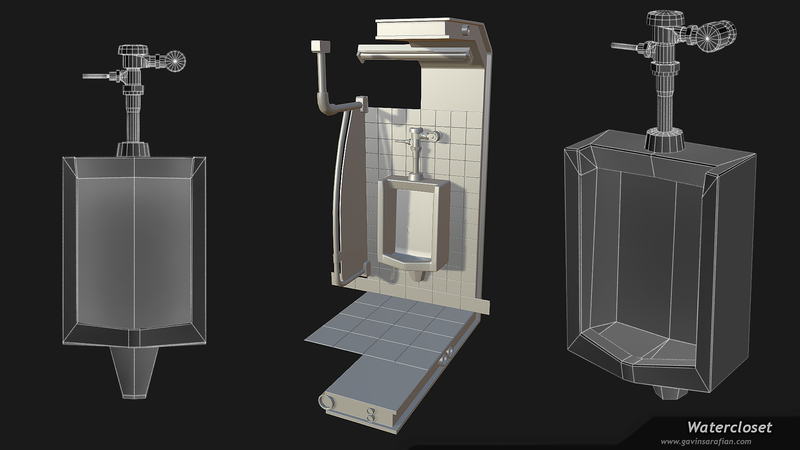 Polycount (urinal): 1794 triangles. Modelled in Maya, rendered with Quixel Suite 3DO.